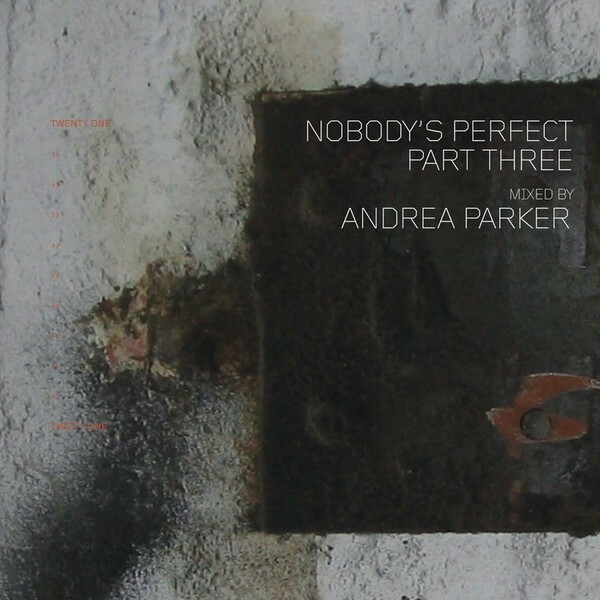 The first lady of darkside electro dips back into her revered Touchin' Bass catalogue for the 3rd installment of the 'Nobody's Perfect' mix series and picks out 22 tracks taken from releases 21-31. Parker herself initiates the mix with her 'After Dark' cut in collaboration with David Morley, setting a ghostly midnight electro tone with succulent radiophonic atmospherics. The mix starts to flow with Clatterbox's 'Peripheral vision', a squashed radioactive beast of a cut, before moving at a reduced tempo onto Two Sandwiches Short Of A Lunchbox's 'Too Good To Be Strange', new gear from Daz Quayle's Scarletron project on 'Crash Mat', dirty warehouse styles from ADJ's 'Nuva Beat', some epic IDM infected electro from Nomadic, industrialsed crushers from Ed Devane, and finishing on Scarletron's stunning sci-fi futuristic 'Coron Data'. For all the dark electro heads, this is a must.